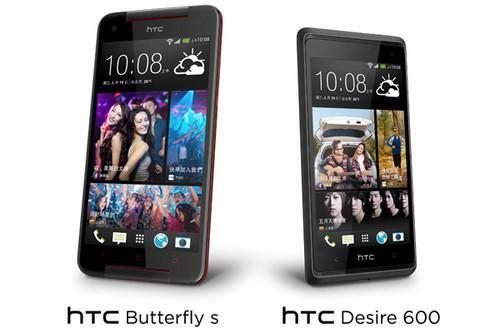 The HTC Butterfly S and HTC Desire 600. HTC declined to provide more information. But the Butterfly s will arrive in Taiwan this July with a price of $US766. On Wednesday, the Taiwanese smartphone maker also unveiled the HTC Desire 600, a mid-tier Android handset with a price of $US430. It has a 4.5-inch screen, and a 1.2 GHz quad core processor from Qualcomm. The phone is due to arrive in Taiwan this July.